Dislikes: People who wear their hearts on their wrists. Being told what he's like. Qualities: Friendly (To Kaori), nice ("___"), if wrong he'll accept it, handsome, intellegant, strong and brave. Inherited the Harashima Enterprises from his father. Originally they just had a main store and small chain stores, but Harashima expanded it throught Japan and other parts of Asia. 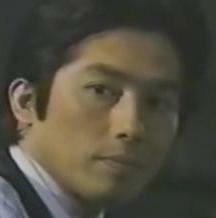 Harashima's father past away when he was only nine, telling him that love was just in the mind and it's not real. Leaving Harashima cruel, coldhearted and selfish. Though he agreed to marry Mayako, daughter of a powerful politician, he only did it to expand his business and improve his reputation. Almost from the very start, Harashima finds out he is going to die in just six months and only really cares about getting his work done and sealing his company safely. However, in the end, he is far more concened in making sure his new found friends and loved ones are protected after he's gone. Though he discourages Konosuke's attempts to become friends with him, he starts to (slowly) become friends with him as well as finding himself falling in love with Konosuke's friend Kaori. Harashima suddenly begins to care about others and not just himself. He vaules his friendship with Konosuke and even feels he undeserving to have Kaori's love. In Kaori's words, Harashima is indeed the richest man but yet the loneliest she's ever met. When ever Harashima is with her, he finds himself forgetting that he's going to die and when he looks at Konosuke and Kaori's lives, he thinks of a world that he secretly wants to be apart from. Despite all this, he claims he has never felt lonely. Harashima dies at the age of 35 on the 7th October, 1997, but not before going to Konosuke's wedding and making sure his work was well and truely finished. Likes: Chocolate. Beautiful things (displays, objects etc.). Ramen. Nice people. Dislikes: Two-timers. Men who two-time women. Not being taken seriously. Qualities: Pure, kind, warm, loving, lovable, very pretty and very friendly. Vices: Bad temper (when she loses it which happens rarely), terrible table manners when eatting ramen (yet no one cares) and falls in love to quickly. Kaori is everything the other women in Harashima's life are not. She's modest, innocent, selfless and poor, which is probably what makes her so attractive to him, the fact she's everything he isn't. Despite her ruff start in life, she has come through and tried her best to make something of herself. Kaori took at job at the main store because it brought her so much joy as a child, looking at the beautiful displays made her want to create them when she grew up so she could bring the same amount of joy to other children like her. She first encounters Harashima in the street but he pays her no attention, nor does she him, but they soon meet again when Kaori mistakes Harashima for a delivery man. Though she's none the wiser, Harashima is completely smitten and bespotted with her, so much that he listens to her every words and sends two more workers to help with her. After a second meeting, Kaori herself finds herself becoming smitten with him too. Kaori has had very bad experiences with men. Two years before she had even thought of marrying one of her boyfriends, but he had been two-timing her and only really want Kaori for that one thing. Misao tells Kaori that she's the sort of woman who falls in love too quickly, Kaori finds that rude - Despite the fact she's been decieved more times then she can count. Likes: Friends. Making new friends. Nice people. Kaori (like a brother to her). Dislikes: People who take advantage of his loved ones (particularly Kaori). Qualities: Kind, giving, loving, beileves the best in people, protective, friendly and always looks on the bright side. Vices: Bad temper (when he loses it, be ready for a punch in the face), too trusting and never wants to admit the truth. Konosuke is the exact opposite of Harashima. His father died with a smile on his face, telling him that he should respect and care for his friends, that love is a wonderful feeling that should be acted on and treated carefully and that being good to others will always win the day. 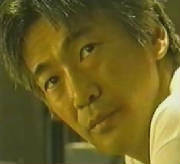 Most of the time, this theory back fires on him, but then again, so does Harashima's theory, so neither man can dwell. Harashima's fiancee and daughter of a big-time politcian. All her life she had dreamt of marrying someone she truely loved, but now she's stuck with Harashima. Despite the fact she doesn't love him, she thinks that if she finds out enough about him she can force herself to fall in love with him. However, she is clearly troubled by the fact that Harashima seems to have fallen in love with Kaori, but doesn't hold it against her and is even moved by Kaori's generosity and kindness. Konosuke's best friend and seems to really look up to him. He had some problems with depts nd tried to use Harashima's watch to pay the off, despite his anger, Harashima let him 2.5 million yen to cover the depts. Since then he has remained thankful to the "gardener" and his kindness. However, he becomes bitter when he finds out who Harashima is, he becomes furious but sticking to Konosuke's cool view on Harashima tries to not let it get to him. Hoping to graduate law school and become a lawyer, the other rely on him to give them law advise. He is constantly turning to look in his law book to see if such action people make is legal. He takes over the factory after the presidant dies and even considers taking Harashima's offer of saving 10 of the workers. However he decides to go down fighting with the other workers. Not much is known about him. He's about Kaori's age (a bit older) and he is one of the famous three who hang around with Konosuke. He has a very bad temper. He's been in love with Kaori ever since high school. When he finds out Kaori is Harashima's lover, he becomes terribly rude and says hurtful things to her. This is however the only way he can deal with his rejection of her and his jealousy of Harashima.